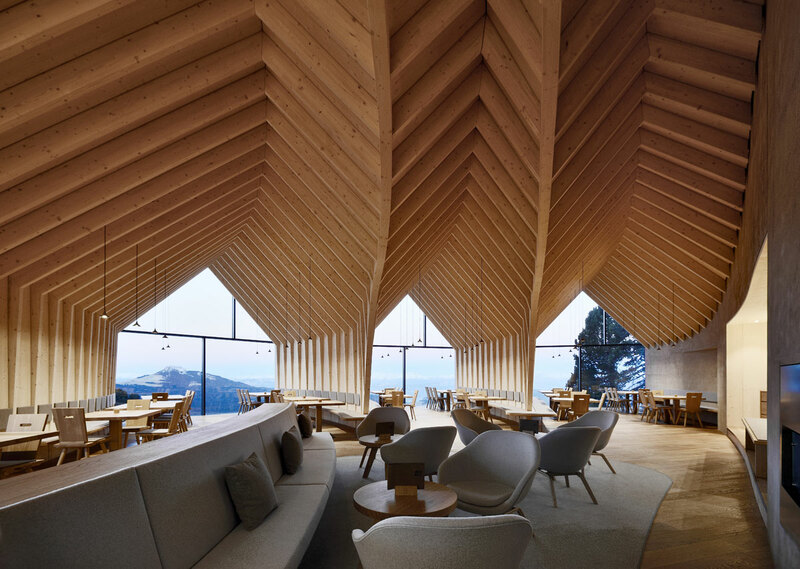 Design: Peter Pichler Architecture + Pavol Mikolajcak. Design team: Peter Pichler, Pavol Mikolajcak, Gianluigi D´Alosio, Simona Alu, Giovanni Paterlini, Matteo Savoia, Silvana Ordinas, Krzysztof Zinger, Jens Kellner. Engineer: Dr. Ing. Andreas Erlacher. Client: Obereggen AG / Spa. Photographs: Oskar Dariz, Jens Rüßmann. 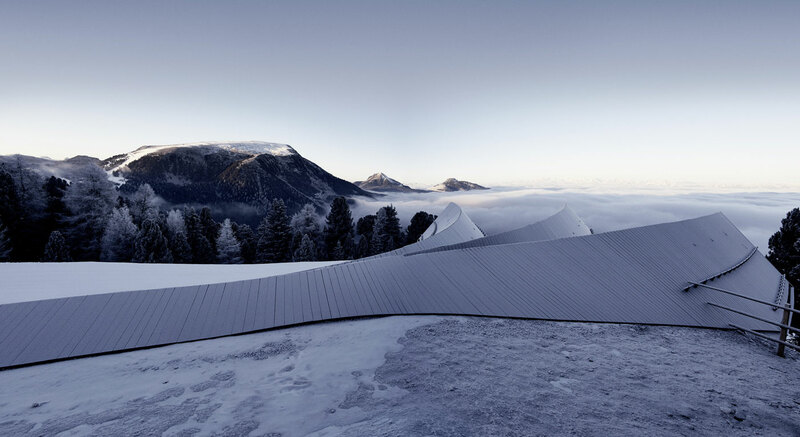 Peter Pichler Architecture, in collaboration with Arch. 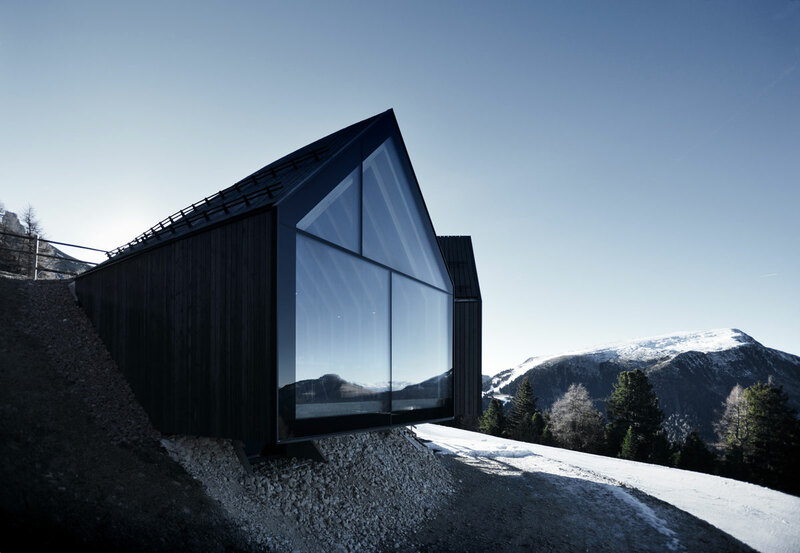 Pavol Mikolajcak, won a competition to design a new mountain hut at an altitude of 2,000 m in the Italian Dolomites in 2015. 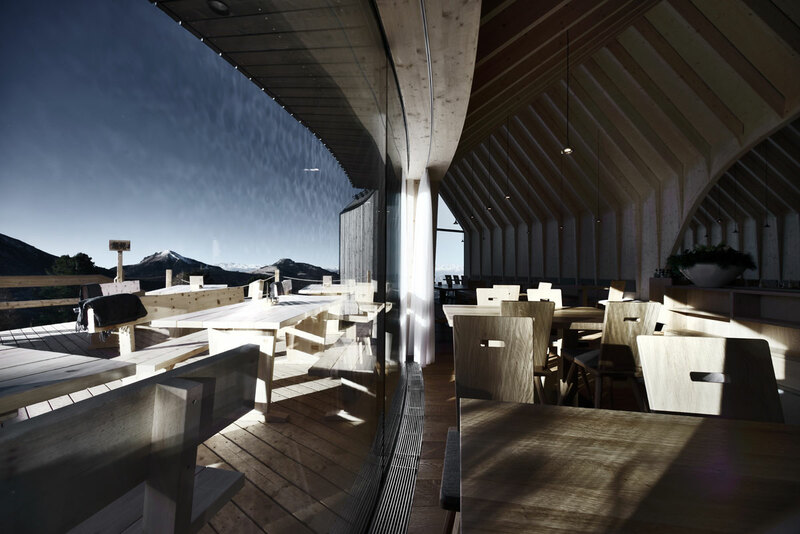 The new hut contains a restaurant and is located next to the Oberholz in Obereggen cable car station with direct connection to the ski slopes. 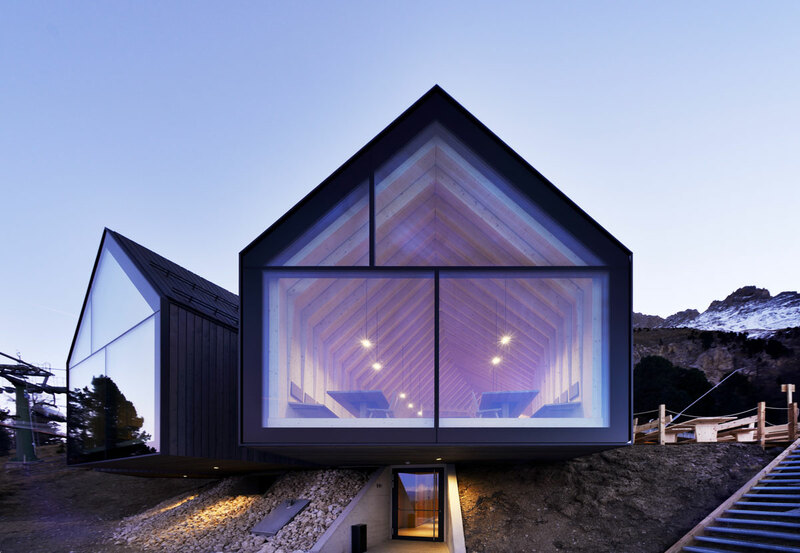 The cantilevering structure grows out of the hill like a fallen tree with three main branches, creating a symbiosis with the landscape. 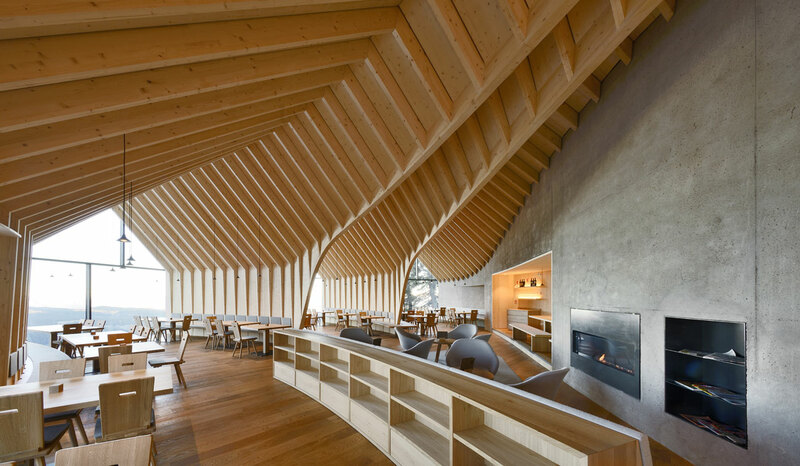 Each branch faces towards one of the three most important surrounding mountains. 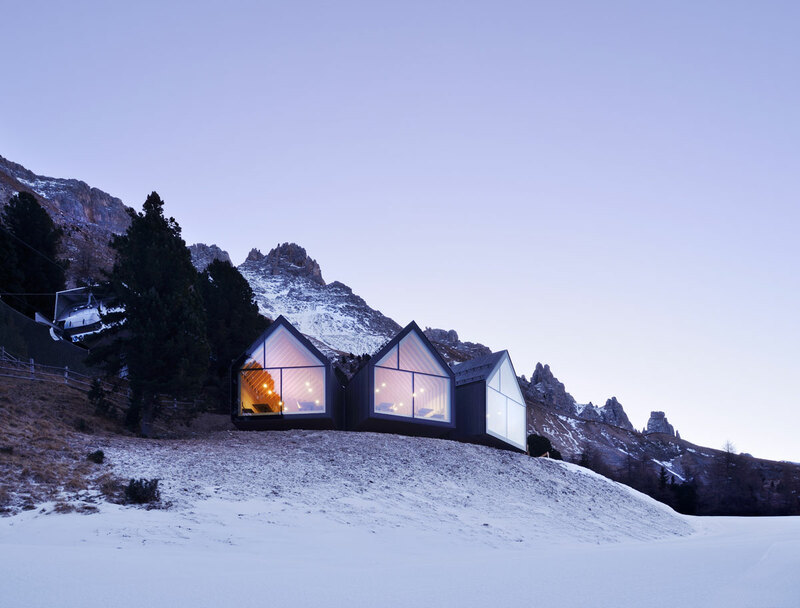 At the end of the branches a large glass façade frames the surrounding mountains from the interior of the hut. 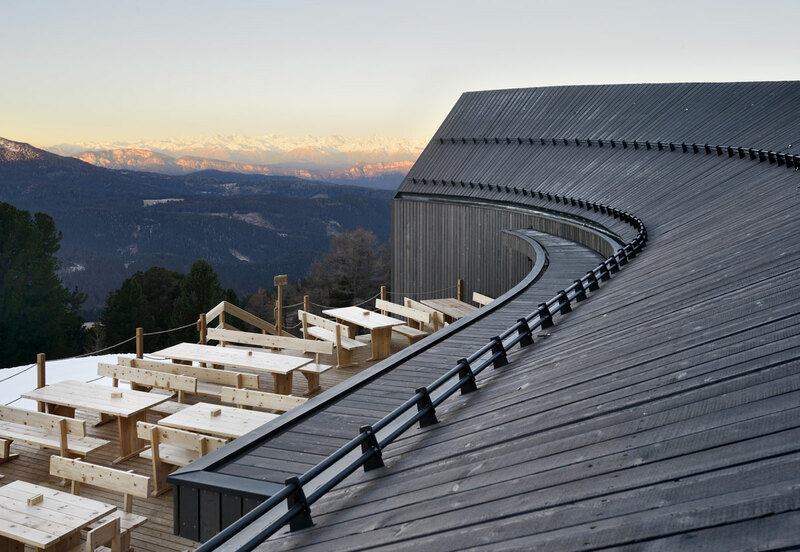 The sloped roof shape takes its inspiration from typical huts in the area, while the branching roof and complex interior structure express a new and contemporary interpretation of the classic mountain hut. 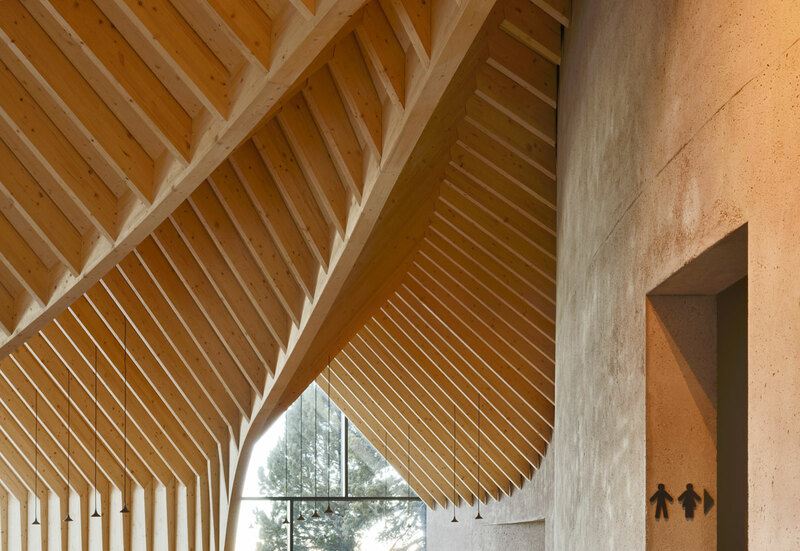 The interior is defined by a complex, curvilinear and visible wood structure that gradually fades into the walls, creating “pockets” for intimacy. It can also be interpreted as a new open space interpretation of the classic “Stube”, well known among the typical structures of the area. 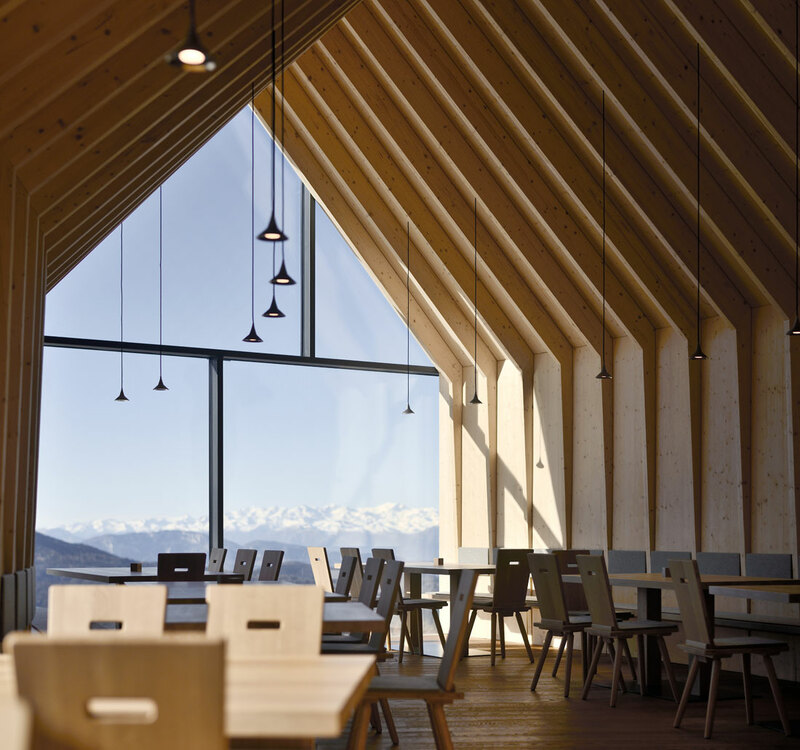 The entire hut is constructed with wood: structural elements and interior in spruce, the façade in larch, and the furniture in oak – all typical woods from the area. A homogenous sculpture with local materials. 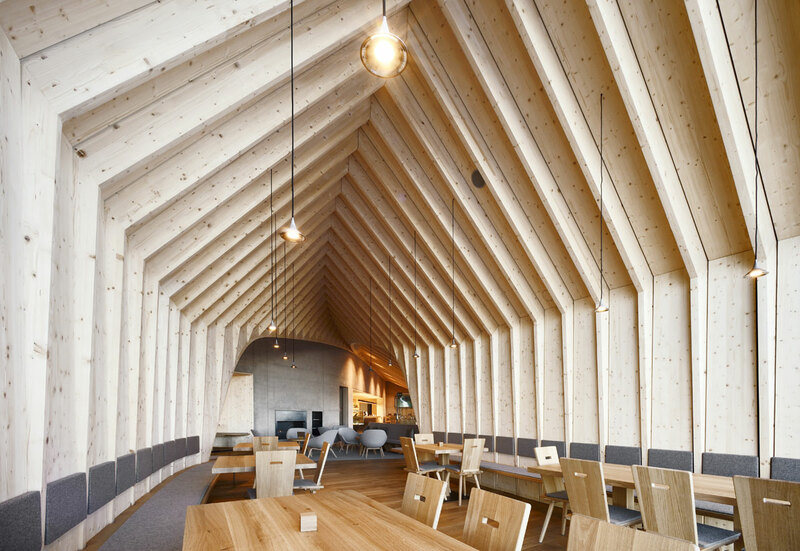 The ground floor of the hut consists of the main restaurant / lounge area. The bar is located next to the entrance and is directly connected to the restaurant. Kitchen and food storage / delivery spaces are also on the ground floor. Main restrooms, staff room and technical facilities are located on the -1 floor. The outdoor space is defined by a big terrace oriented towards the southwest.